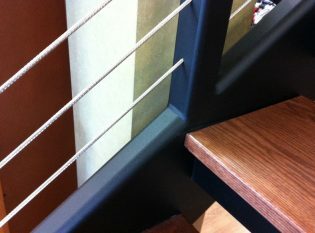 Material and Finish: Powder coated “raven black” steel posts with wood top rail. 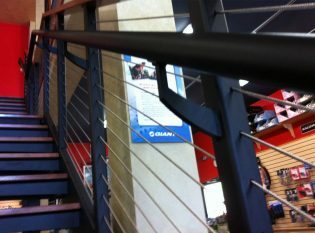 Description: Ithaca Style cable railing and wide double stringer steel staircase. 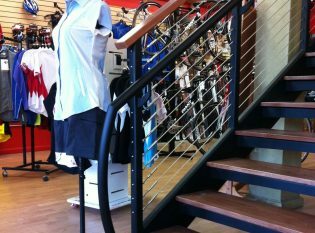 Cayuga Ski and Cyclery in Ithaca, New York needed to expand their shop in response to the business’ growth and increase in foot traffic. 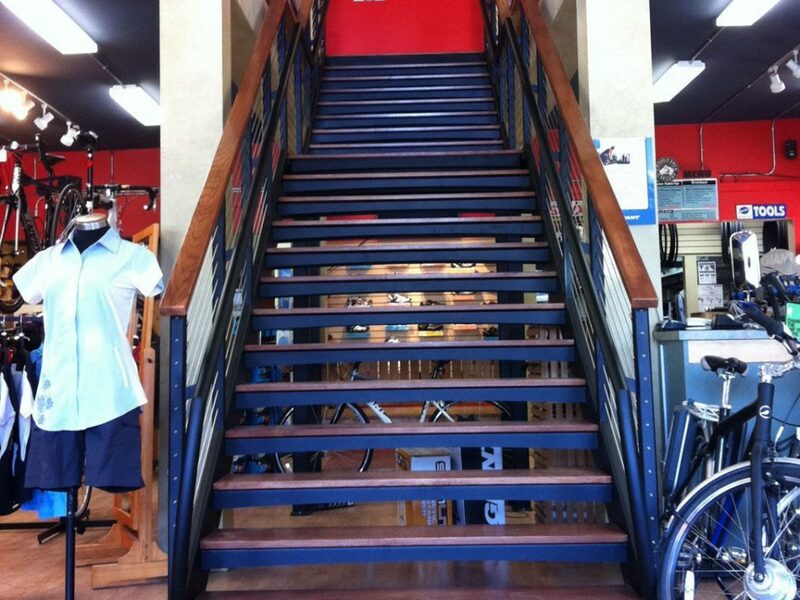 The business owners wanted to add a monumental staircase right at the entrance of the store that would invite customers up to the newly renovated showroom on the second floor. 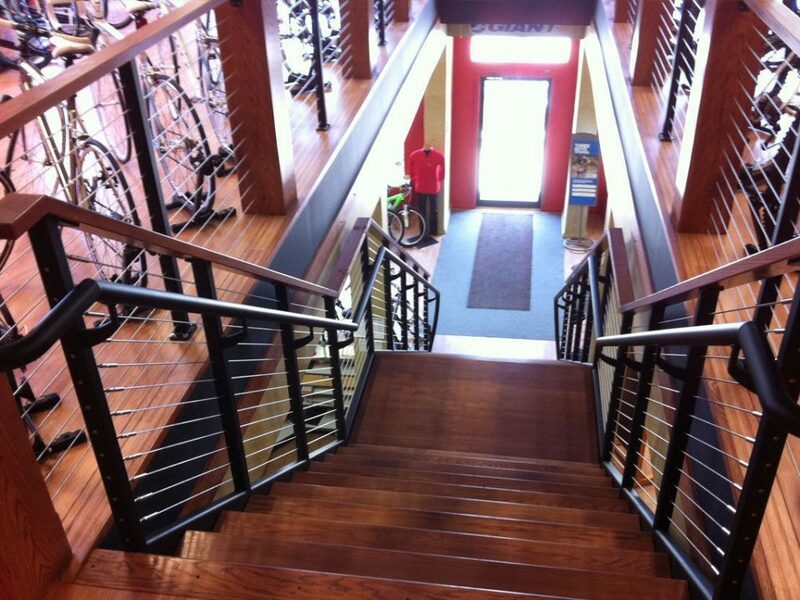 While they wanted the staircase to make a statement, they didn’t want it to take up too much space or detract from the ski and bicycle displays on the first floor. 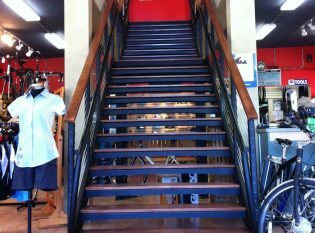 At the same time, it still needed to be wide enough for employees and customers to easily carry bikes up and down the stairs. 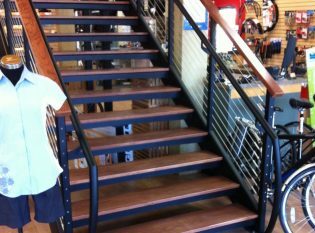 Keuka Studios custom designed and fabricated an open-riser staircase to meet our client’s unique needs. We crafted a straight staircase with a central landing pad that was high enough to store and display products in the area underneath. The staircase features closed steel stringers on each side of its wood treads. To meet local building code requirements, we added arched riser plates to each tread. 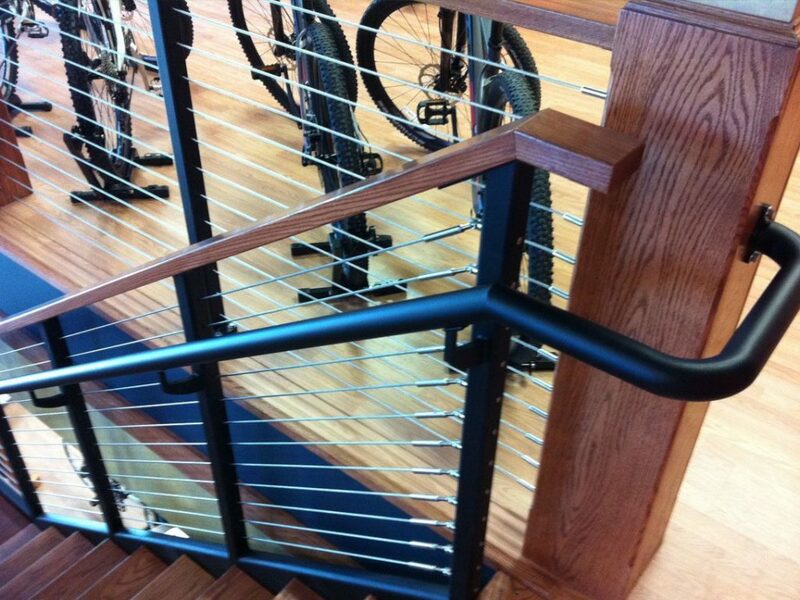 For the staircase railing system, we imitated the look of a bicycle frame. The railing features Ithaca Style “Raven Black” powder-coated steel posts, stainless steel cables, stainless steel exposed fittings, a wood top rail, and a round graspable handrail. 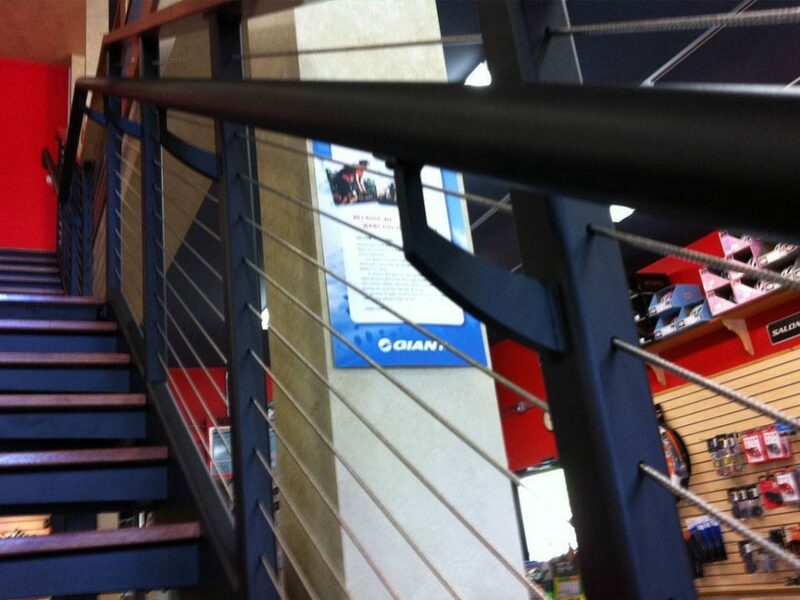 We arched the graspable handrails at the bottom of the stairs to mimic the appearance of a bike frame. At the top of the stairs, the handrails wrap around wood pillars.